Hello all! Are you experiencing the sweltering heat like I am? My sunglasses fog up as soon as I get in my car and my hair is NOT a pretty sight. But that's a Charlotte summer for you! It's no wonder I am dreaming of a breezy picnic under a tree...seriously, I have been dying to go on a picnic with Mr. Fo, but we really aren't the picnic type. If you know us, you are probably laughing right now at the thought of us having a picnic. Ha! 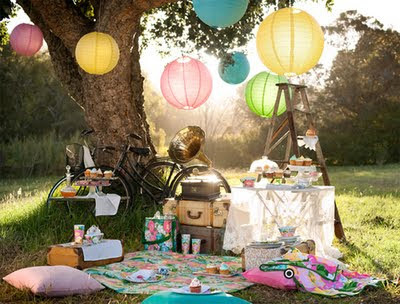 Since a true picnic isn't in my future, I've decided to pair up with a photographer friend of mine and do a picnic photo shoot in August. 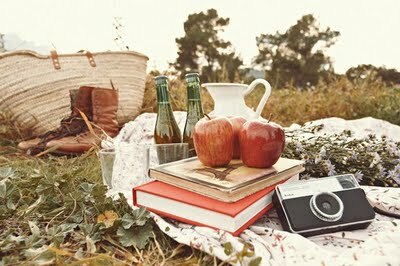 I've been searching for some inspiration, and there is plenty of it to be found. 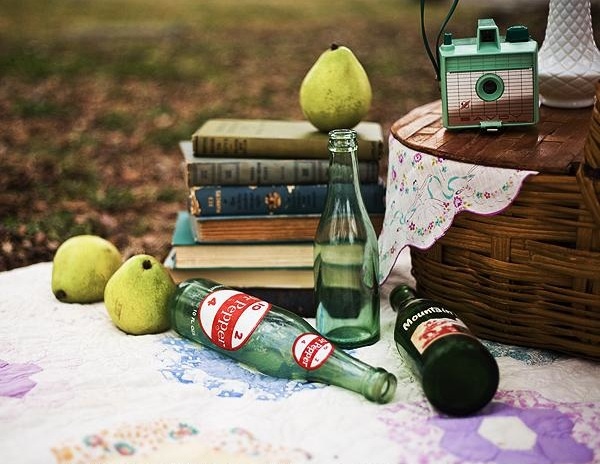 Here's to faux picnics! 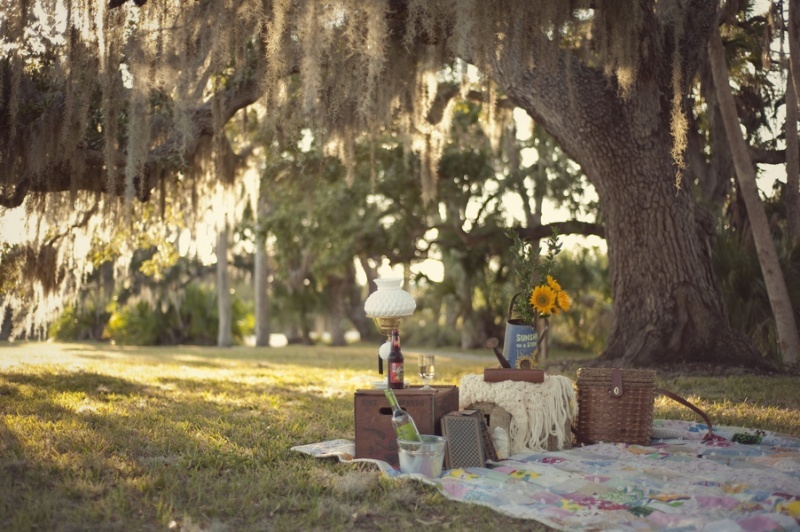 One of my fave sites, Truly Chic Inspirations dedicated an entire post to picnic inspiration. Check out her post HERE for tons more photos, but in the meantime, enjoy the two below. 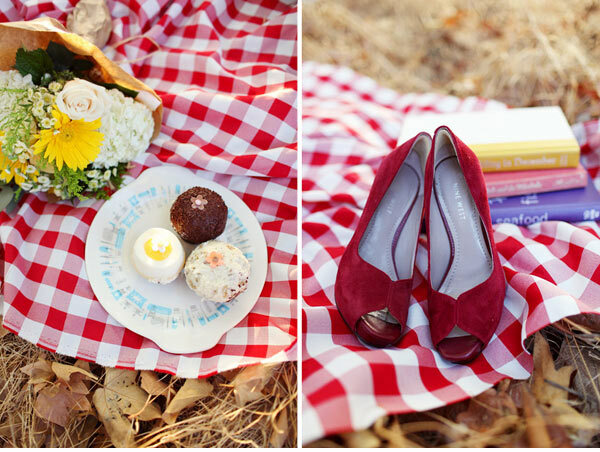 I love the artfully arranged books in this shoot, and those fabulous red shoes! The lighting in this shoot is so beautiful. I love the old wooden crate in this shoot, I'm hoping to find one for my shoot as well. These glass bottles are so cool looking. 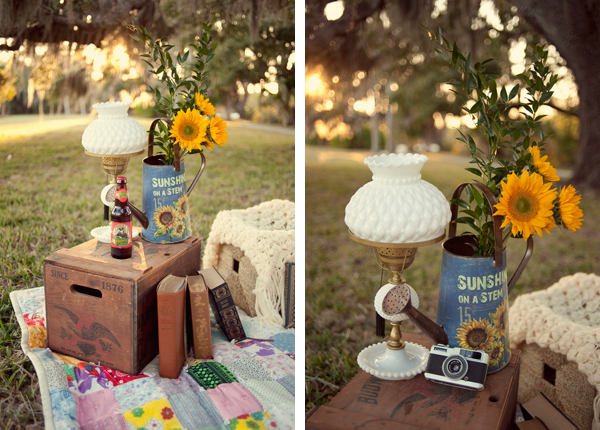 The sunflowers, vintage camera and setting of this shoot are gorgeous. Check out the moss in the second picture. 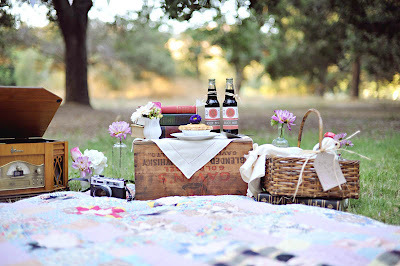 This might be my favorite picnic out of all of these! 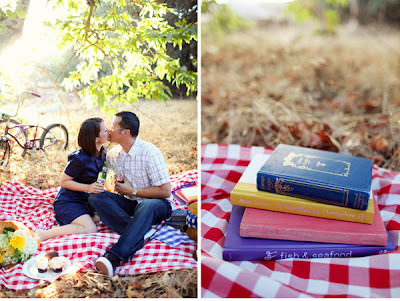 The couple below is SO cute, but it's the exact reason Mr. Fo and I can't ever have a picnic. 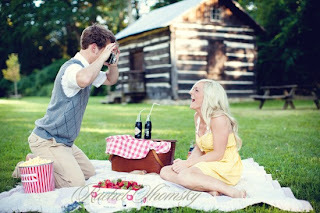 We are so not this couple ha! I can't wait to keep researching ideas and show you guys the finished product when we do the shoot in August! Hope everyone is having happy productive weeks. Off to bed! I'm pretty sure Mr fo needs a short sleeve dress shirt with a sweater vest. Fantastic inspiration! 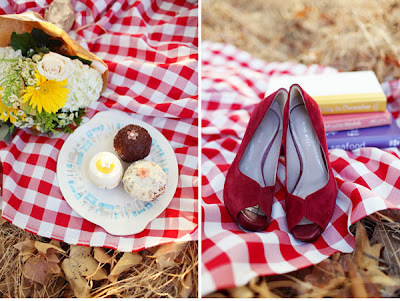 I’ve been looking for picnic inspiration lately, myself. 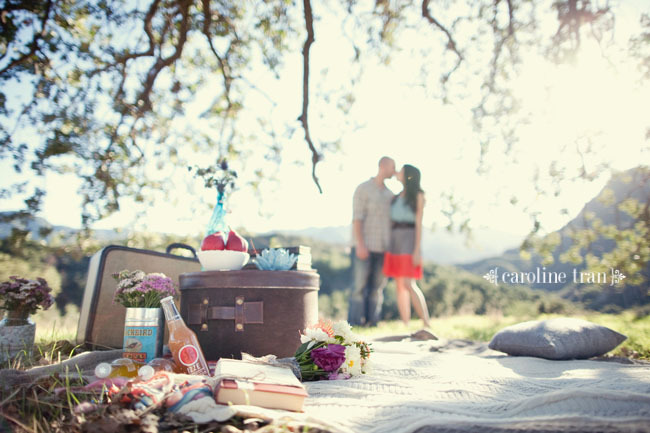 Can’t wait to see the photo shoot!